Suction cups with hooks. Hang items on windows. 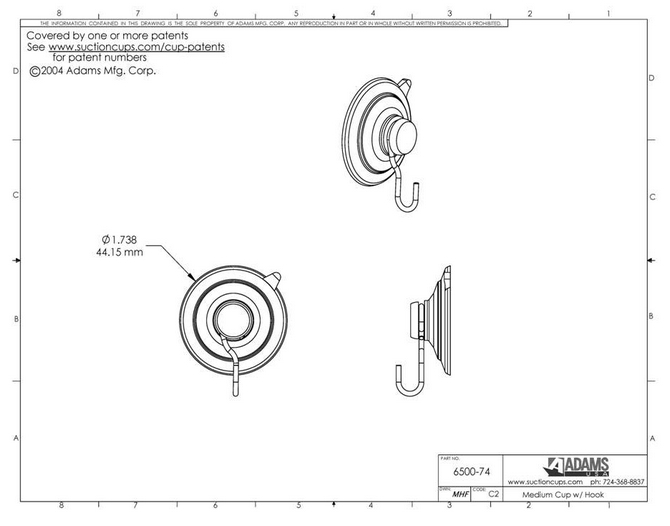 Adams suction cups with hooks with a 47mm diameter are rated to hold 3 pounds (1.36kgs) when fixed to a clean, flat, dry, slick/shiny, non textured, non porous surface like plain glass, mirrors, glossy plastic, plain glazed ceramic tiles or car bodywork etc. Suction hooks made by Adams have a strong rustproof metal "u-shaped" hook for brush past safety and are great to hang a display poster, door or window sign, document, calendar, sun catcher, crystal, keys, thermometer etc. Use the release tab on the suction cup hook edge to remove or re-position as this simple device eliminates damage caused by finger nail picking. 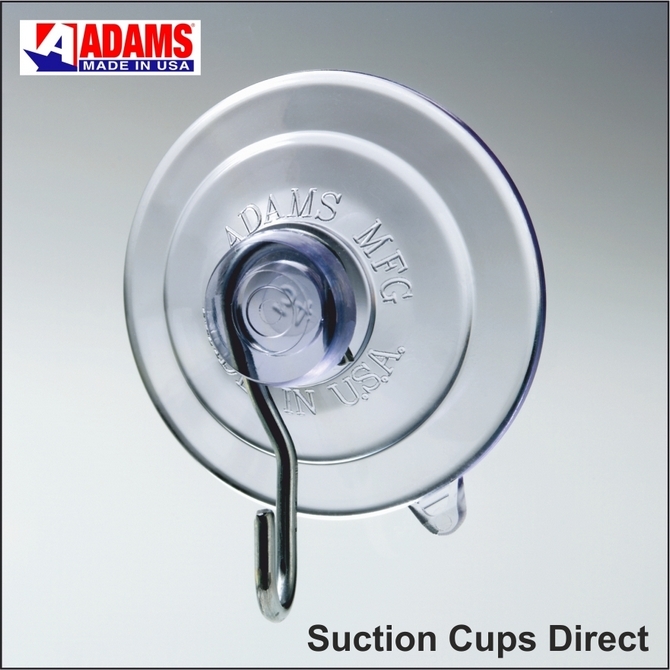 Adams suction cups with hooks can be used indoors or outdoors and will not turn yellow or become hard and brittle due to the superior blend of Adams PVC material. Visit Why Adams World's best to read why Adams suction hooks work better than equivalent size lever hook suction hook types.